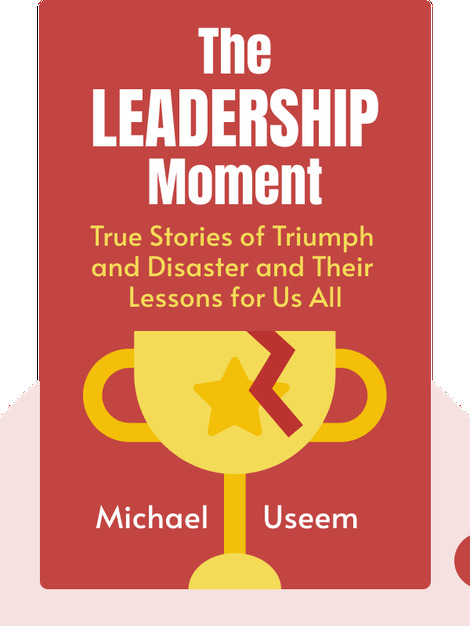 In The Leadership Moment (1999) we accompany leaders from a range of different fields on their incredible journeys, and learn, by witnessing their responses to critical challenges, some of the central principles of great leadership. From seeking out new opportunities to winning the trust of your team, these blinks are your guide to leading well in the trickiest of times. Michael Useem is a professor at the Wharton School of the University of Pennsylvania as well as the Director of the Center for Leadership and Change Management. 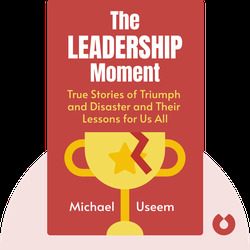 Renowned for his expertise in the theory of leadership, Useem is also the author of The Leader’s Checklist and The Go Point: When It’s Time to Decide.